Schubert's Birthday today ! I'd planned to mark the occasion at the Wigmore Hall, but Julia Kleiter cancelled (get well soon !) and the prospect of driving up snow covered hills late at night was too much to contemplate. But for me, every day is Schubert's Birthday. So here's a gift in his honour, the song Abendlied für die Entfernte D856 (1825) to a poem by August Wilhelm Schlegel. Hinaus mein Blick! hinaus ins Tal! Und an der heil'gen Stille. Trägt es, was ihm beschieden. In Lust nicht, doch in Frieden. The strophic setting and sturdy piano accompaniment enhances meaning, for it emphasizes the sense of steady determination through which the Heart , the protagonist defies the inevitable fate that is death. Because the Heart has heard " leisen Klängen" he has lived well and loved life so well that this fate sustains him and gives him peace even when he's lost the world, and only has distant horizons to gaze upon. Schlegel's poem is deeply contemplative : a philosophy of life that overcomes mortality. 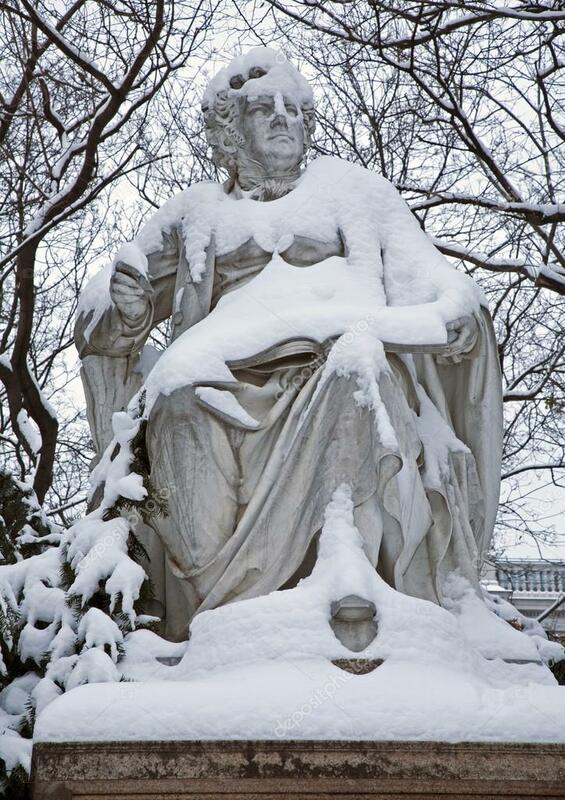 Thus we can gaze upon the statue of Schubert, on his 123rd birthday, as it stands, no doubt covered in snow this bitter winter, and understand the significance of the text.